Whether you are a salty veteran of the sea or a landlubber from suburbia, San Juan Island boat rentals make exploring the unique marine ecosystem fun and easy. Rent a luxurious yacht and tour the San Juans in style. This company provides both crewed and rental yachts. Plenty of yachts to choose from to meet your budgetary and boating needs. 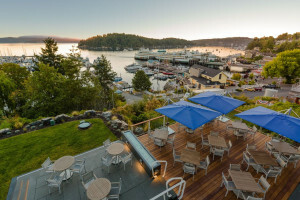 Access the San Juan Islands with a chartered tour from beautiful Bellingham. Tour the islands in a restored vintage yacht with a 1950's theme. The experienced crew of this local yacht chartering company can take you on a tour, for the day or a week, all along the coast. Quality charter fishing for Salmon and bottom fish. From Orcas, San Juan, and Lopez island. up to 6 people per boat. Ask about our family adventure tours. Lots of boat options so you can see the islands from this amazing perspective, at your own pace. Rent your own luxury sail or motor boat. You can also sit back and relax on a chartered yacht while someone else does the work.